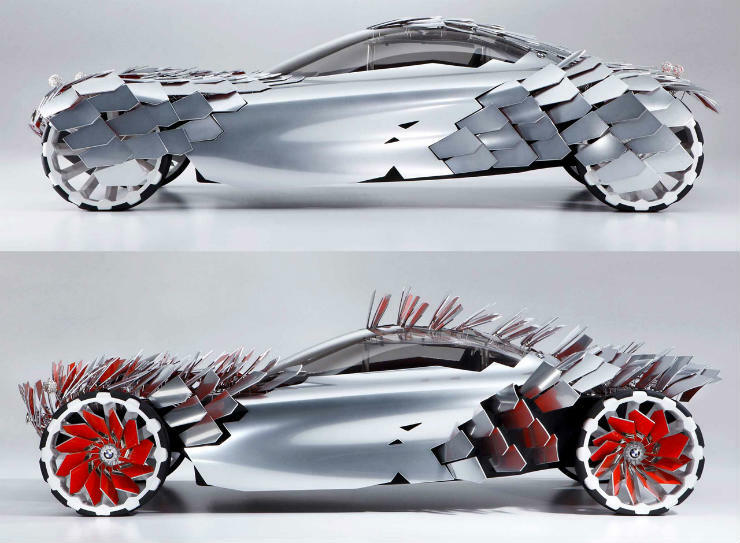 Concept cars show the design direction in which the car manufacturer is heading. Some concepts are lucky enough to see the light of day, others however are forgotten. Here are ten INSANE concepts you may have NEVER seen. Designed by a 24 year old designer, Anne Forschner, the Lovos concept looks like its main aim is to inflict pain to others and protect itself. The Lovos stands for ‘Lifestyle of Voluntary Simplicity’. The body of the Lovos consists of 260 identical inter-changeable panels that are mounted on hinges. These act like scales of a fish and they act like an air brake. The scales move along with the direction of the sun to gather energy to power the solar cells located in 12 of these scales. 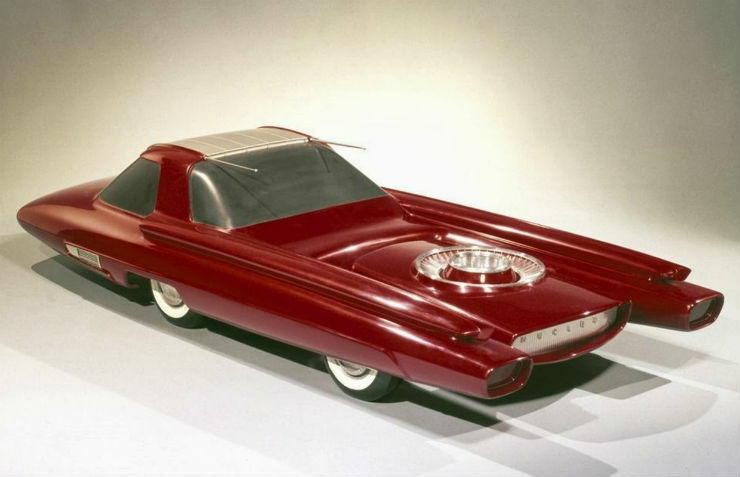 As the name suggests, the Ford Nucleon was to be powered by nuclear power. Unfortunately though, Ford only showcased a 3:8 scale model of this concept and never built a full size vehicle. Built in 1958, the car was to feature a small nuclear reactor at the back, like how it is in nuclear powered submarines. 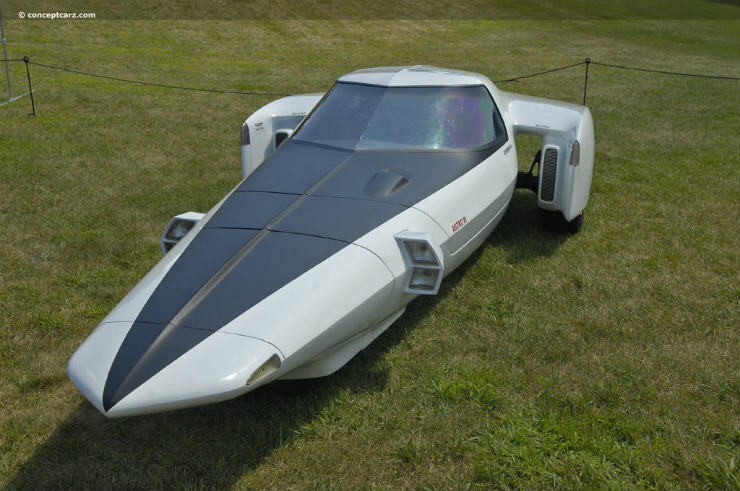 Designers predicted that the Nucleon could do 5000 miles before needing to refuel. Talk about efficiency and range. The original vehicle can be seen in the Henry Ford museum in Dearborn, Michigan. 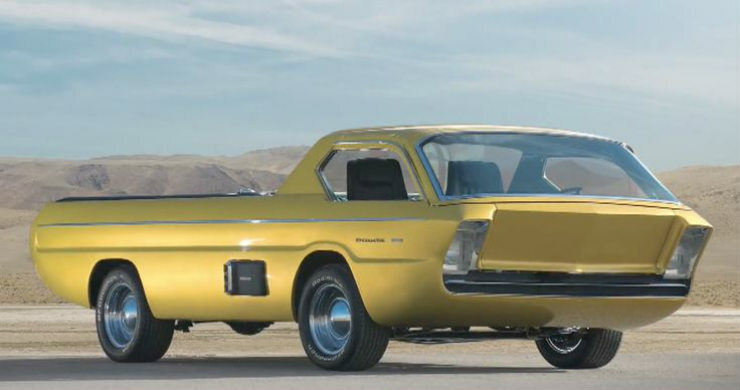 The Dodge Deora is a pick-up truck concept which was unveiled in 1967. The vehicle started life as a Dodge A100 cab truck and was given a complete makeover. 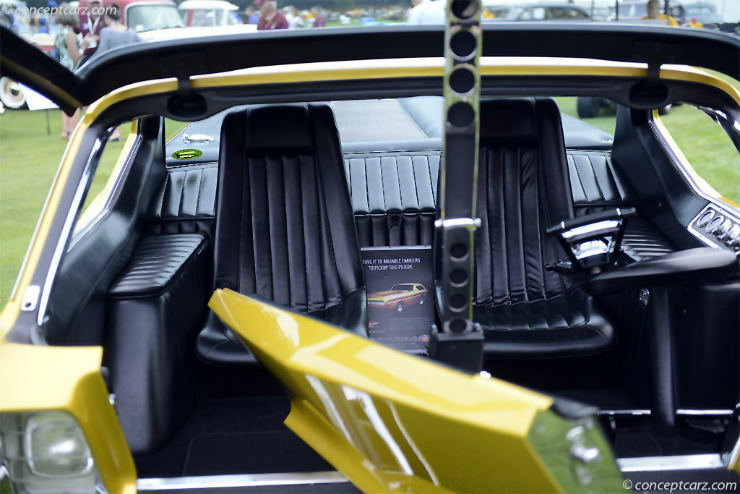 The Deora is powered by a six cylinder engine which is located in the pick-up bed. The door is located at the front of the car, something which will remind you of the BMW Isetta. The Astro III concept gained its inspiration from the aerospace industry. 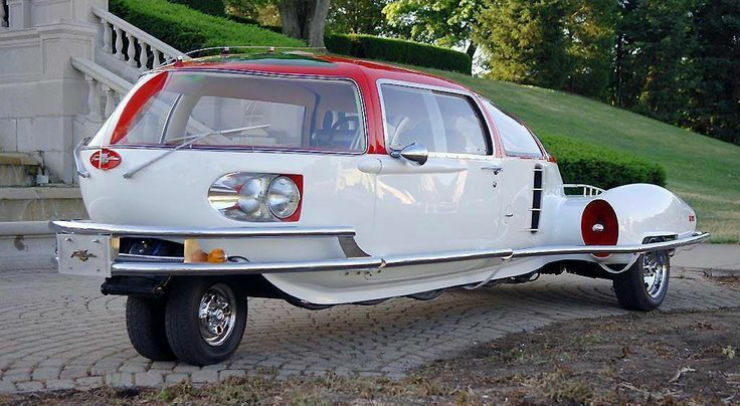 When the vehicle was showcased in 1969, there was a lot of chatter about NASA’s space program and this is what GM came up with. The vehicle was powered by a gas turbine engine producing 317 Bhp. It had rear wheels which were set wide apart where as the front ones had a much narrower track. It featured close-circuit TV review mirrors and drive-by-wire steering wheel. 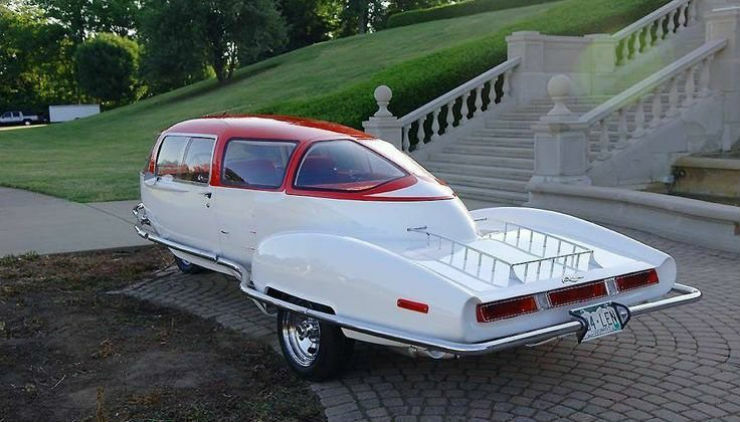 The Fascination 2DR looks like something that ‘The Jetsons’ would travel in. Designed by Paul M.Lewis, the vehicle was equipped with a 180 degree turning capability which made it very easy to use in the city. Powering it was an engine coupled with an electric motor. Though initially thought off as a 3-wheeler, Lewis had to put the second wheel in the front to make the car safer.